Jenny Holmes counselling and talking therapy services. to the Jenny Holmes Counselling website. I hope you find my website interesting and helpful. Please feel free to contact me if you would like to get in touch, or you have any queries about counselling or my Talking Therapy services. 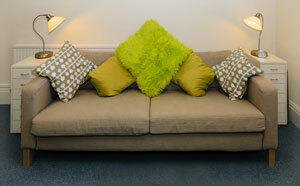 I am based at “The Salisbury Practice” in Salisbury, Wiltshire. 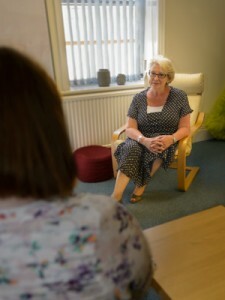 Counselling is an opportunity to establish a special confidential relationship with an experienced, trained counsellor who will help you to explore the problems or issues that are causing you concern. It is sometimes far easier to talk to a counsellor than to family and friends about what is troubling you. A counsellor will listen attentively and will not be Judgemental and can often offer a different perspective to those that you are closest to. This special relationship enables you to offload when you are feeling depressed or isolated, and it can also help you to understand yourself at a deeper level. With this understanding, you can identify any changes that you would like to make. Counsellors can help you to consider your options, and provide you with support when times are difficult for whatever reason. There is clear evidence to suggest that counselling can help people to adjust to life events such as bereavement and loss, redundancy, marriage, parenthood/ infertility, divorce, sexuality, retirement, illness, disability and many other issues. Counselling is a talking therapy and it can be a relief to you to share your burden. Talking therapies are more likely to work if you feel comfortable and at ease with your counsellor therefore finding the right person for you is as important to you as finding the right type of therapy. To find out more about talking therapies, please see Department of Health booklet at www.doh.gov.uk under the title “Choosing Talking Therapies” You can find details on this website of the local provision for counselling under the NHS which you can self refer to and it is free of charge.